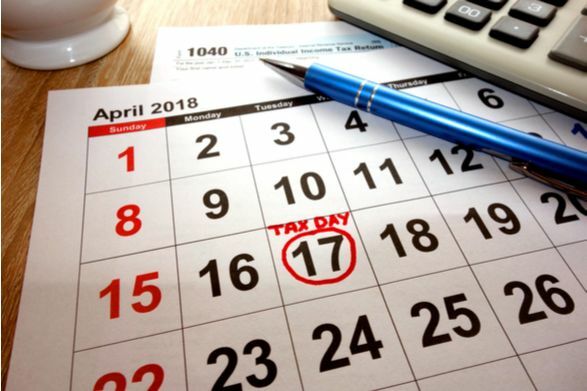 Happy Tax Day! This year’s tax season is a little different than last year because it’s the first year that the 2017 Republican-passed tax cuts went into effect. So much noise has been made about the size of this year’s average tax refunds. Even worse, the media and some lawmakers on the left have spread misinformation about tax refunds and the tax cuts. In February the IRS said that average tax refund sizes were down. As more taxpayers have filed their returns, the average refund size increased and is almost on par with last year. H&R Block says their average customer paid 25 percent less - $1,200 - than last year! Tax cuts for everyone! Almost every American household got a tax cut in 2018. You get a tax cut and you get a tax cut and you get a tax cut! According to the Joint Tax Committee, the tax reform law cut taxes for every income group with the bigger tax percentage cuts of 10 - 13 percent going to households with incomes between $20,000 and $50,000. Those are low to middle-class families. According to the nonpartisan Tax Policy Center, taxes fell for all income groups on average last year and their after-tax income rose by more than 2 percent. According to the IRS tax withholding tables, about 90 percent of taxpayers received a tax cut. These tax cuts showed up in weekly paychecks last year and will continue to be in place until 2025 when the individual tax cuts are set to expire (unless Congress extends them). Bigger is not better. A big tax refund is not a windfall, it’s your own money that you loaned to Uncle Sam interest-free. The IRS took much out of your hard-earned checks each pay cycle and now is returning that overpayment back to you. What could you have done with those overpayments? Having more take-home pay each pay cycle means more money to pay bills, dining out, pay down medical bills or student loans, sock away savings or invest. The power is yours. Getting your tax withholding from your paycheck right is important. If too little tax is taken out, you’ll owe money when you file a return. If too much is withheld, you’ll get a refund. A bigger weekly paycheck gives individuals more control over their resources for budgeting, saving, and emergencies. Many taxpayers do not review their withholdings and that can be costly. And there are some major life changes that warrant immediate updates to your tax withholdings such as getting married, welcoming a new child to your family or purchasing a home. Now, is a good time to take a fresh look at your withholdings to create the tax situation that’s best for you and your family. We cannot underscore how the Tax Cuts and Jobs Act impacted workers and families. They cut individual income tax rates, expanded the standard deduction (likely leading fewer households to itemize this year), nearly doubled the child tax credit and cut back or eliminated some tax breaks. In addition, over 4 million workers received salary increases, bonuses and new benefits such as paid parental leave because of corporate tax cuts.